Day #2 of the Irish beer extravaganza. The first thing I noticed about this was the unusual cap on it, it was more like a pull top with a ring hanging from it. You gave the ring a tug and the top came off of the bottle…interesting. 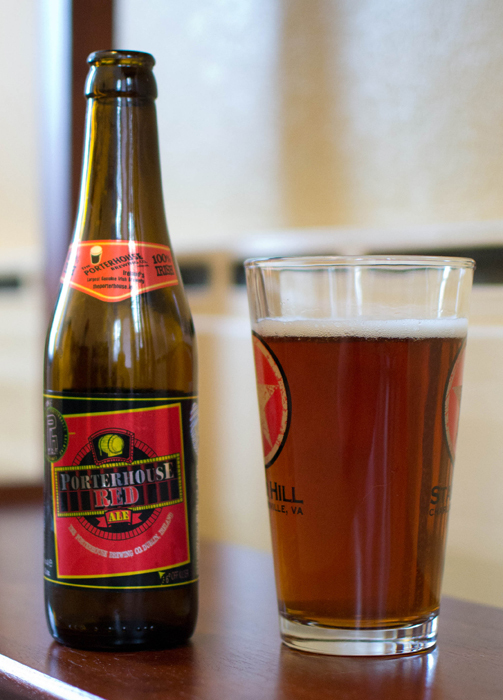 There was a very little head on this reddish amber colored brew. It was a very malty smelling beer with some caramel and a bit of a hoppy floral aroma. The taste was kind of blah. It was mostly caramel malts and that was about it. It was very dry and had a bitter aftertaste. The body was on the thin side and it was quite fizzy. Another very average beer at best. It was slightly better than yesterdays Irish brew but not by much. Let the Peasants drink this.